I was in Canada in early June 5 years back with my family. We departed for Kuala Lumpur from Sibu at 7 in the early morning to catch our next flight, which was in the afternoon to Taiwan Taoyuan International Airport. 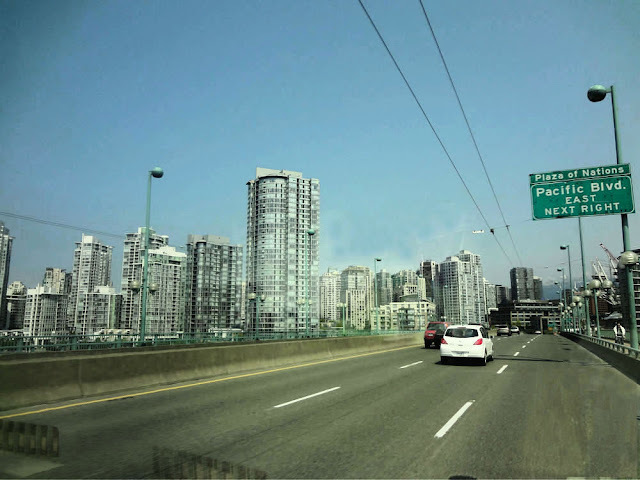 From there, we embarked on our long grueling 11-hour flight to Vancouver, British Columbia. The entire flight duration (from Sibu to Vancouver) including two stopovers spanned over 28 hours! My uncle and aunt from Edmonton picked us up at the airport. They would be our tour guide throughout our 3-week stay in Canada. It was already 7 p.m. in Vancouver (Malaysia is 15 hours ahead of Vancouver, BC) but you could still see the sunlight because it's late spring so night fell at 9 p.m. usually. 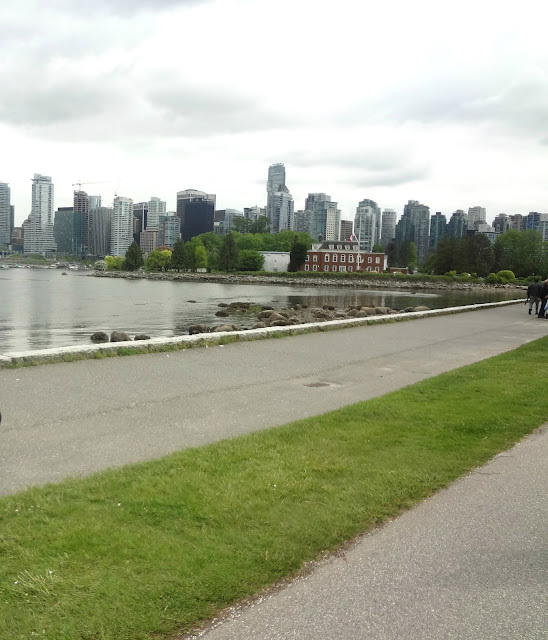 As someone who had to bear with the off-putting scorching hot weather back in Malaysia, I immediately fell in love with the rather mild weather (15 Degree Celsius) in Vancouver. 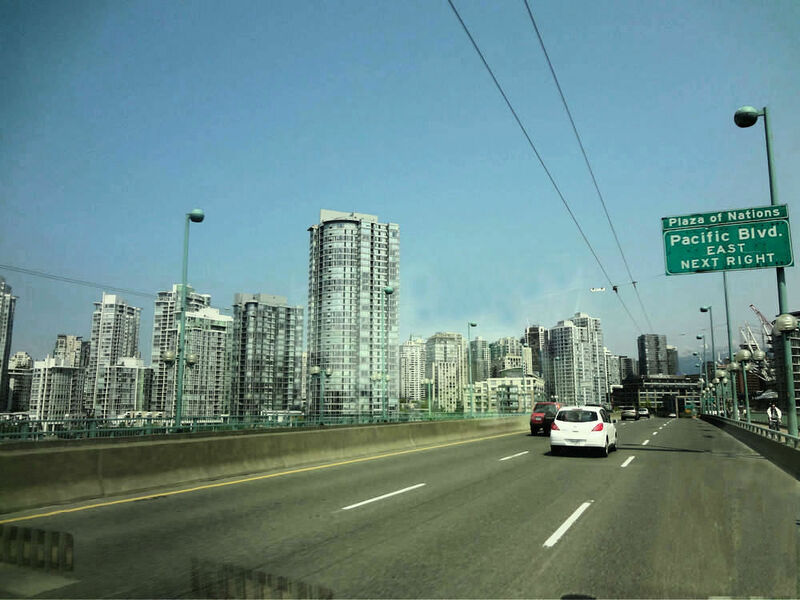 We checked in to Hampton Inn & Suites in Downtown Vancouver and called it a day soon after. 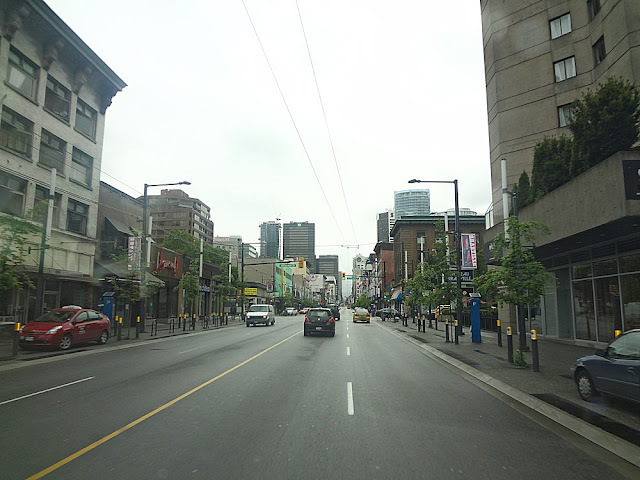 The next morning, we drove around downtown Vancouver before heading to Chinatown. 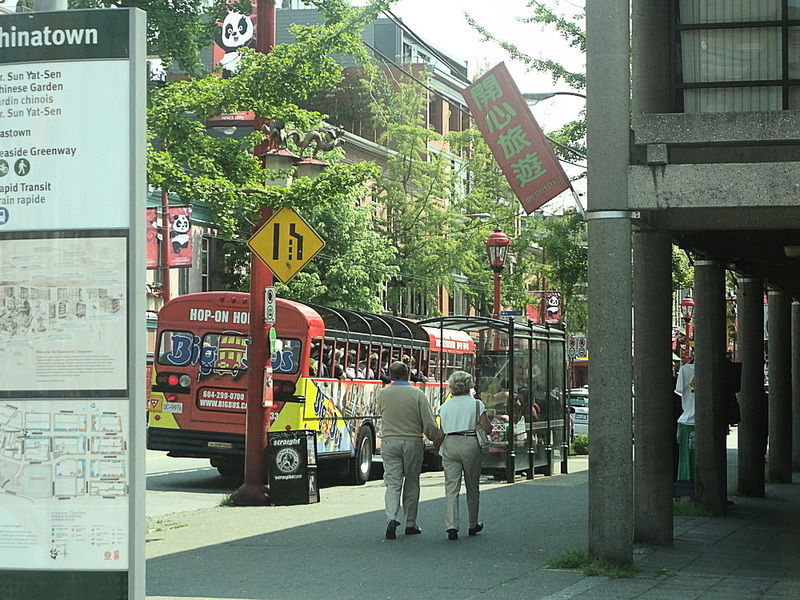 Vancouver boasts the largest Chinatown in Canada. It is mainly comprised of older generation of Chinese Canadian in British Columbia. On the other hand, the younger generation has been dispersing to other nearby areas especially Richmond over these few years. 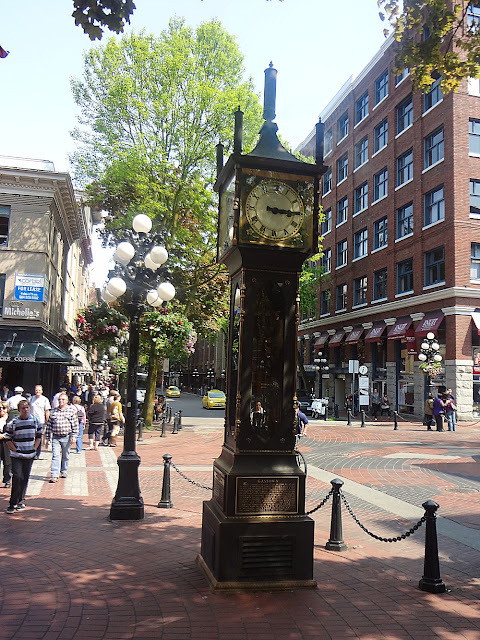 We did not linger long at Chinatown before heading to Gastown (a designated historic site in Vancouver) which was just a stone's throw away. Perhaps Steam Clock is the most prominent landmark in Gastown. It would produce a whistle chime every 15 minutes. This steam-powered clock is one of the few steam clocks around the world which is still functioning to date. 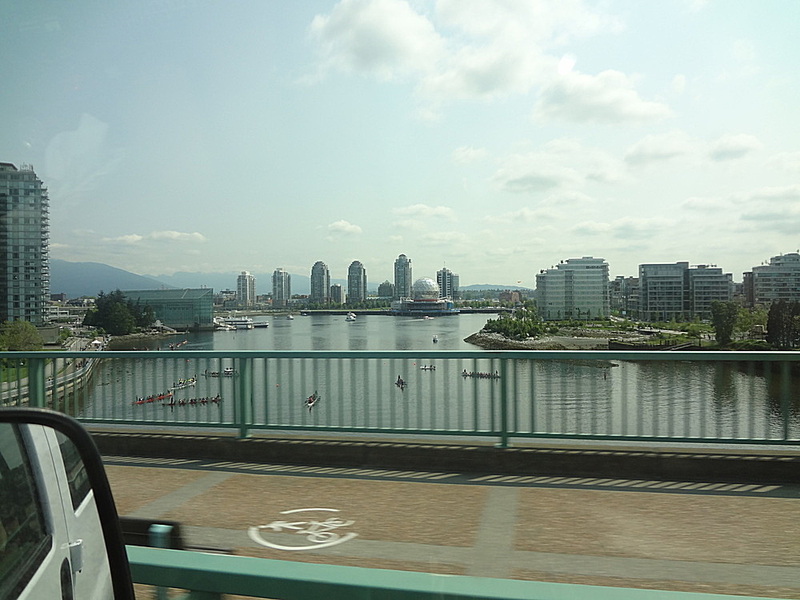 Our next destination was Grandville island. 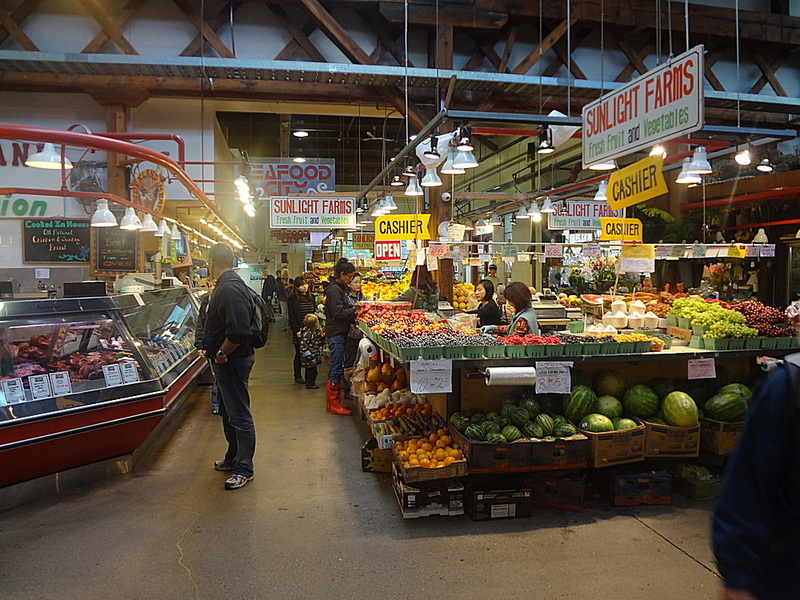 Sitting on Grandville Island is a very famous public market, literally called Grandville Island Public Market. Inside, you could find an array of seafood caught fresh from ocean, fruits, vegetables, cured meats, dairy products etc. Well, lastly, speaking of Vancouver, Stanley Park was another highlight. It was regarded as the best park in the world by Tripadvisor in 2013. 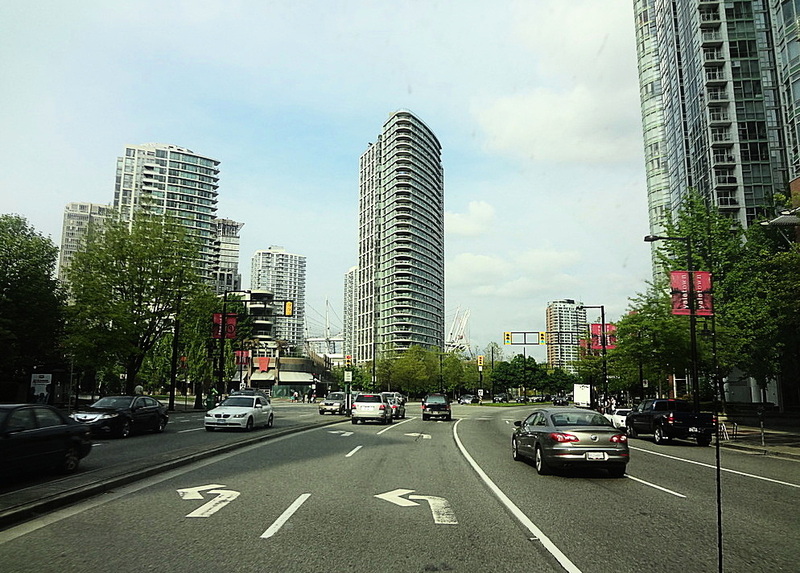 This renowned public park is extremely vast; taking up a significant portion of the north-west Vancouver peninsula. Stanley park was so vast that it's almost impossible to stroll through the entire park in one day. There were a few options to travel around Stanley Park, namely hop-on hop-off bus and horse-drawn carrier. There were some interesting totem poles erected in the park to commemorate the area's first inhabitants but I did not have any photos of them (too bad I was not even thinking of blogging 5 years back). We walked to Lowden's Lookout which was an observation point to take a scenic view of the famous Lions Gate Bridge. Lions Gate Bridge is a very long suspension bridge that connects Downtown Vancouver with North and West Vancouver. I do not have a photo of it so I just take it from one of the websites out there. Never been to Canada, would love to but I cannot stand long haul flights - I prefer these western countries to the popular Asian destinations.